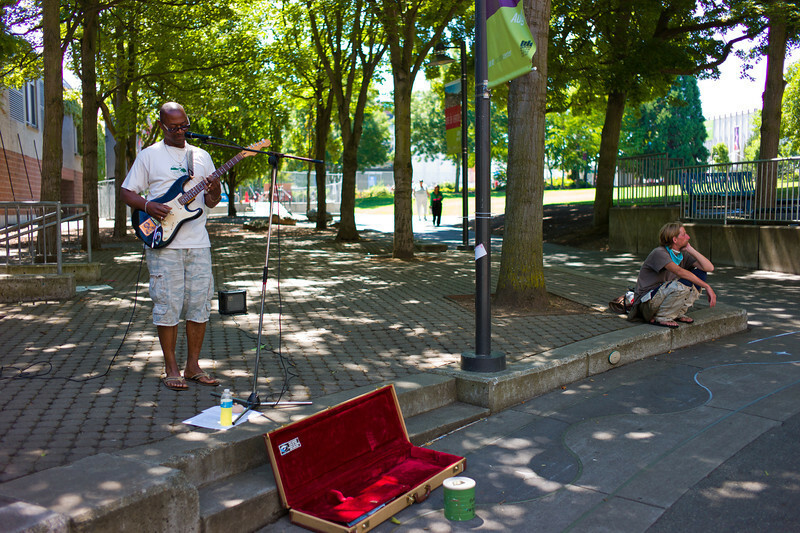 This guy was doing Hendrix covers, and I think everyone shot him. I was really trying to get the shot with the other guy in the background, but not with him staring at me. Took some waiting, but I got it.